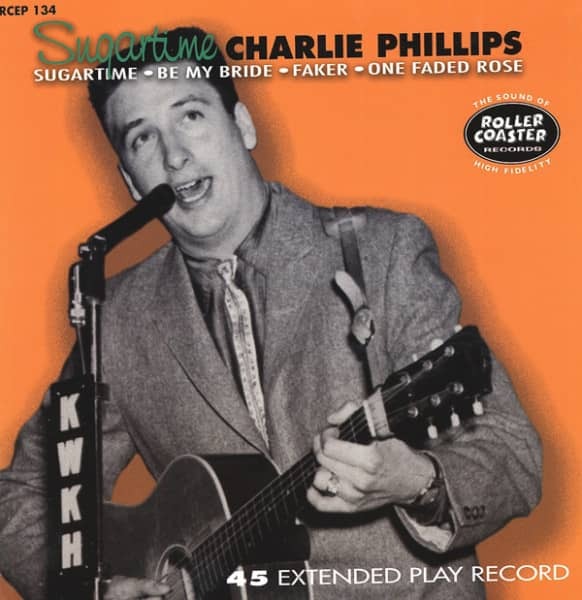 Sugartime is an irresistibly catchy tune which deservedly became one of the biggest hits of the 1950s; spawning many cover versions that have been used as the basis of countless radio and TV commercials. Composer royalties have allowed Charlie Phillips a more comfortable lifestyle than he could have imagined whilst feeding cows on the family farm. He has been honoured as Radio WSM's 'Mr DJ USA', appeared at most of the top country venues including the Grand Ole Opry, Louisiana Hayride, Big D Jamboree, Red Foley's Ozark Jubilee on ABC-TV, Town Hall Party, and Las Vegas nightclubs. He's worked in all facets of radio work and as a concert booker and promoter. Along the way, he has handled just about every country star of the latter half of the 20th century. 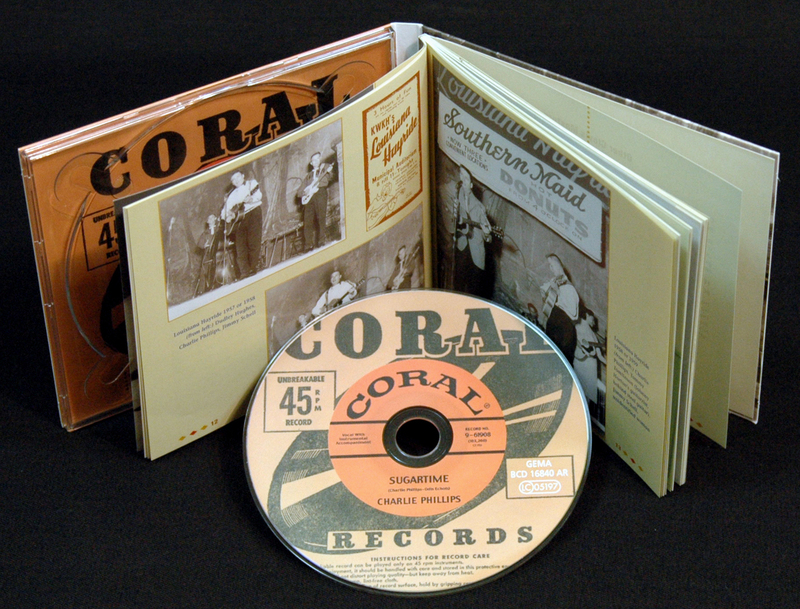 In October 2004 he was inducted into the Western Swing Hall of Fame. 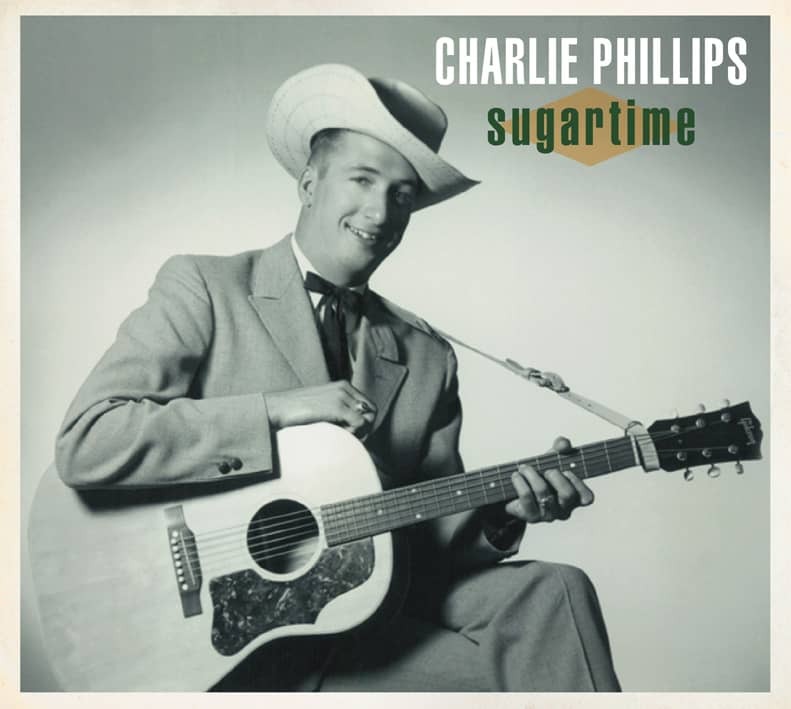 Charlie retains a warm, rich four octave range combining a pronounced West Texas drawl with a smooth vocal delivery that makes him one of the very best singers from the Texas Panhandle. After starting his career in Norman Petty's studio (with Buddy Holly as a sideman) he had one session in New York and then signed to Columbia for whom he cut a mixture of dramatic ballads and gentle mid-tempo items with typically big Nashville productions of the era. After this, Charlie recorded for Longhorn and Reprise followed by sessions for several smaller labels. In retrospect he was one of the most overlooked and under-rated country artists of the 1960s. This package includes all his material issued up to the end of 1967 and a selection of other recordings; many of which are previously unissued. By the age of three, Charlie was standing on the kitchen table singing to family and friends but the real encouragement came from Mrs. Erma Jobes, the music teacher at Farwell Junior High School. She organised a quartet around Charlie. The boys played assemblies and sometimes performed at other schools in the area doing comedy skits and short plays as well as singing. It was to be valuable experience for his professional career. Outside school, Charlie started performing with Jackson Toombs but quickly formed the Countryside Boys with his cousin James Norton and Jimmy Schell, the son of a local farmer. They performed titles such as Almost and Too Old To Cut The Mustard and were soon cutting acetates at Norman Petty's home (before the famous studio existed) and at Bob Tucker's garage studio, both in Clovis. Petty was already a radio personality so Charlie was very familiar with him. The platters included Release Me, Bully Of The Town, Swanee River and Skater's Waltz. Two later songs were to become important for his professional career: Big Ball's In Cowtown and Rainbow In the Valley. Big Ball is an age-old tune but the inspirational cut was by Hoyle Nix & His West Texas Cowboys released on the Dallas based Talent label (709) early in 1949. Rainbow is a Mac Wiseman track from early 1953. The most significant move was to cut Put Your Arms Around Me (a Tennessee Ernie Ford song) and Courtin' In The Rain (T Texas Tyler). He took the acetate to Jimmy Self, who was already the top DJ in the area with an afternoon show on Clovis Radio KICA. Charlie recalls: "I was delighted when Jimmy started playing 'Put Your Arms Around Me' on his show and he even listed it on his charts for a few weeks. At that time local charts meant whatever the compiler wanted it to mean but it was fantastic to hear my music on air. It was Jimmy who encouraged me to start writing my own material, pointing out that you can't make a living out of cover versions. Thanks partly to this experience I was playing in nightclubs long before I was 16. If you were big enough and walked into clubs confidently then no one asked questions." Sadly, the acetate disappeared many years ago. Jimmy Self was born in Amarillo and worked as a DJ, singer, drummer, and concert promoter. After one long tour as a drummer for Hank Thompson's Brazos Valley Boys, he settled in Clovis to work for KCLV about 1953 and remained in the area for the rest of his life, apart from a stint drumming for Merl Lindsay's Oklahoma Night Riders. He later worked for Radio KICA, Clovis and KENM, Portales before buying KZOL, Farwell. He sold this station to become manager of Norman Petty's KTQM-FM and KWKA-AM; a job which had previously been rejected by Charlie! Customer evaluation for "Sugartime 7inch, 45rpm, EP, PS"